The State Gazette has published the official list of Spanish bank holidays for 2018, and here’s the summary of what we get off. There will be a total of 12 bank holidays celebrated across the nation, in addition to those specific to each region, province and town. The regions are allowed to set three holidays themselves. No region has requested to alter January 6, so that is also a national bank holiday this year. The complete list of 2018 bank holidays. Note February 28 is also a holiday for Andalucía. The other dates vary depending upon the whim of the different regions. 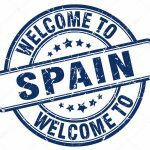 For example, March 19 is a holiday in Murcia and Valencian region but not anywhere else. March 29 is a holiday in all regions with exception of Cantabria and Cataluña. 28 February: Día de Andalucía. 2 April (Easter Monday): Baleares, Cataluñan Comunidad Valenciana, Navarra y País Vasco. 22 August: Aid El Kebir & Eidul Adha in the cities of Melilla y Ceuta. A puente is a linking day between the weekend and an official holiday. So Monday 30 will be a day off for many workers as Tuesday May 1 is a holiday. 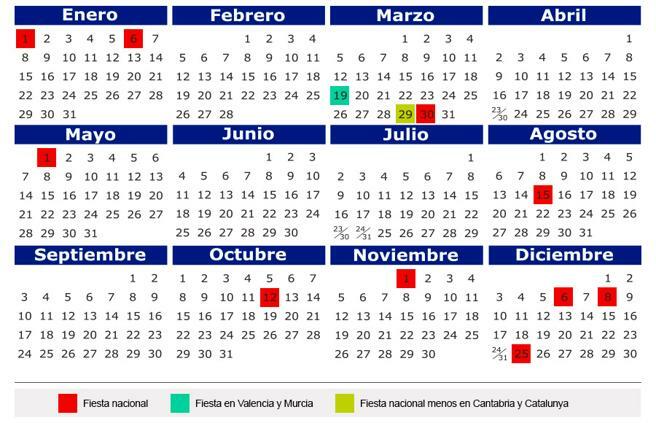 Those in Madrid get an extra day, as May 2 is a regional holiday there. Many workers will take December Friday 7 off, as it falls between Thursday 6 and Saturday 9. Note that bank holidays that fall on a Saturday are not reassigned – only holidays that fall on a Sunday are moved to a normal working day. Every town has the right to designate two days to be local holidays. The list for Almería province has yet to be published. Siguiente historia Do you have a large family? Become a familia numerosa!